The last three days have seen leaders of the five major emerging economies, BRICS (Brazil, Russia, India, China and South Africa), gather to unpack issues around the global political economy, collaboration for inclusive growth and shared prosperity in the fourth industrial revolution, among other things. The theme for this year's meeting is "BRICS in Africa: Collaboration for Inclusive Growth and Shared Prosperity in the 4th Industrial Revolution". Ramaphosa yesterday told heads of state and government that quantum leaps in technology and innovation present enormous opportunities for growth, development and human progress. "We should not allow technology to shape our societies. We must instead ensure the needs of our societies shape the technologies that we develop. "We must ensure that mastery of the fourth industrial revolution does not become the exclusive preserve of just a handful of countries. We must promote inclusivity, diversity and cooperation." Rapid adoption of mobile phones in Africa and other parts of the developing world demonstrates how innovation can ignite development, he pointed out. This, Ramaphosa noted, proves that new technologies can ensure more efficient processes and more reliable systems of service delivery. "They can expand economic participation by ensuring that knowledge and information is more broadly disseminated across the population." Plans are in place to establish a Digital Industrial Revolution Commission, which will include the private sector and civil society, to ensure the country is in a position to seize the opportunities and manage the challenges of rapid advances in ICT. Pundits regard this move as a sign that government is taking steps to ensure capabilities in science, technology and innovation are developed. Yesterday, the president reiterated the need to equip populations of developing economies with the necessary skills to thrive in a digitally inclusive society. The head of state explained: "Without adequate training, only a few emerging economies will possess these skills in sufficient numbers, while others will see their prospects stifled by automation. There is a need to develop more agile and applied education models. "While this must start even before a child enters primary school and continue right through to our universities and colleges, there is an urgent need in developing and emerging economies to re-skill a significant portion of the current workforce. "Governments should formulate and institute policies that are supportive of these processes. Such policies should provide a favourable environment for foreign investment in the development of new sectors and technologies. "Such investment improves the supply of relevant skills, expands the capacity for research and development, and contributes to an environment that nurtures innovation. 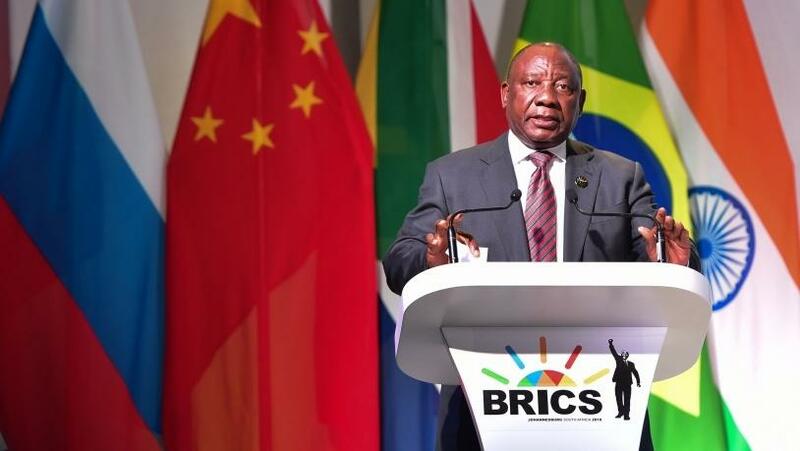 "Equally important are policies that support and stimulate local industries, especially small, medium and micro enterprises," Ramaphosa concluded.